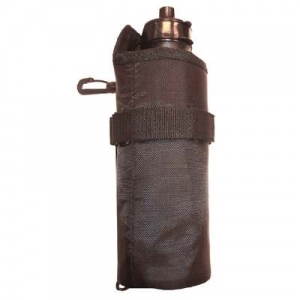 Carrier features snap, & hook/loop.Insulated carrier.Black. 24 oz. water bottle.